The previously little-known rapper burst straight into the mainstream this week as he took the stage at the BRITS with Ed Sheeran, but now it seems an old video has come back to haunt him. Stormzy’s mum sent this brilliant clip of him rapping and showing off his impressive talent as an eight-year-old to Noisey in 2015, but as his career’s on the up, it seems only right to re-live his musical roots. 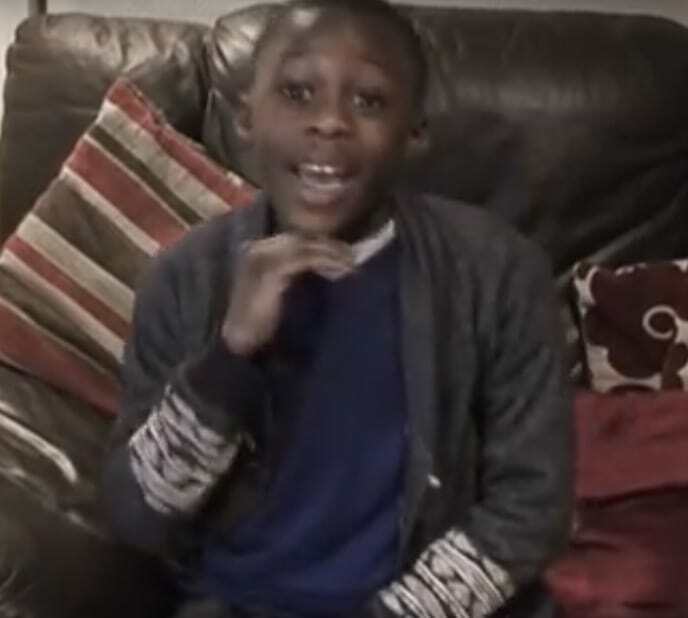 The MOBO award winner – known as Michael Omari to his mum – can be seen covering his face on the sofa and cringing massively, as his mum shows him her home-video. The hilarious footage opens with his mum asking a teeny, tiny Stormzy to rap for her while he’s playing on his playstation. Go away, you’re embarrassing me. After pleadings from his mum, young Stormzy finally agrees and busts straight into his rhymes. Pure perfection. That lad has some serious skills. The now 23-year-old Brit award nominee, has just released his new album and after emerging from freestyle videos on YouTube, looks like he’s set to do great things. That clip may be beyond embarrassing for the rap-artist now, but as an eight-year-old, he totally nailed it.